This trainer here is the solution to all your grapple/glide needs. You can use float mode to get to vents which you cant grapple to. Has health hack and x9999 combo hack as well. 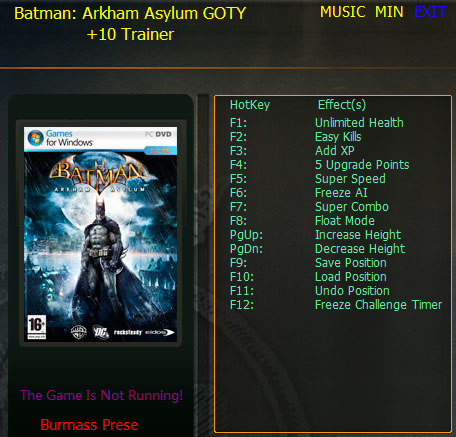 Works with any version of Batman: Arkham Asylum.